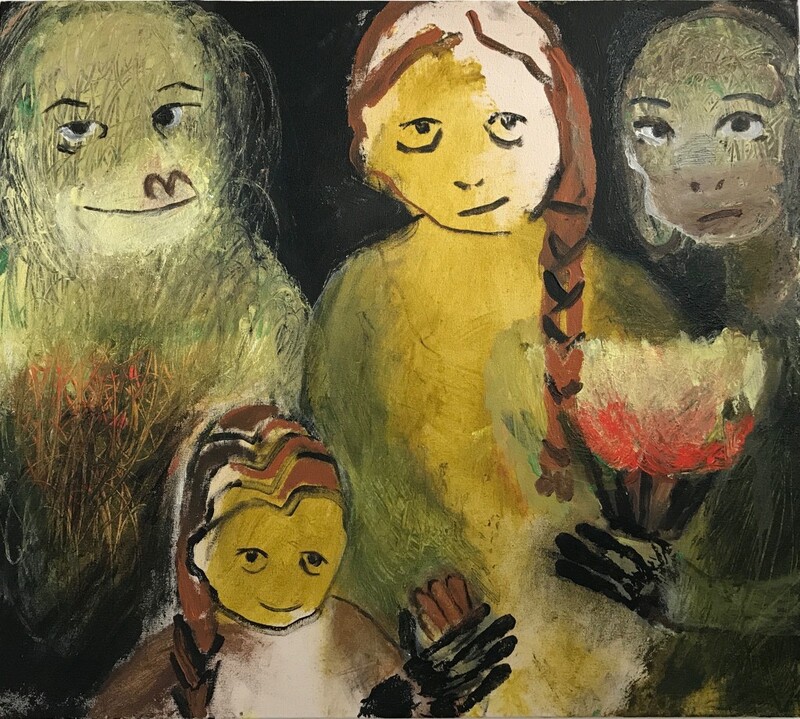 ‘The world that my paintings portray is inhabited by animal-faced, anthropomorphic figures who are all different in appearance and are all composite – made up of both animal and human parts. The figures, self-conscious of their appearance, don masks. It is unclear however if the masks conceal or express. Although the figures in the paintings live in their own world, they are aware of the viewers looking in and judging them. They look at the viewer as if to say, ‘What are you looking at? Is this right, or is this wrong?’ It is up to you as a viewer to decide. The closeness of the figures allows for their imperfections to be seen. I do not conceal the imperfections of the figures, instead I deliberately present them as flawed. This approach is mirrored in my artistic practice, where mistakes are embraced rather than concealed. Sabrina studied at Brighton University and was selected for The Royal Drawing School Post Graduate Year 2010. 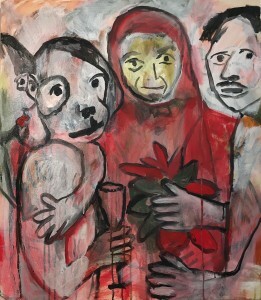 Shortlisted for The John Moores Painting Prize 2010 and The Marmite Painting Prize 2012. She exhibits in Europe and London. 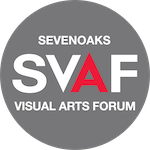 Sabrina will have the first SVAF solo pop up exhibition. Five days where the Gallery is used as a venue for exhibiting work but also as a period to reflect and review her painting practice. 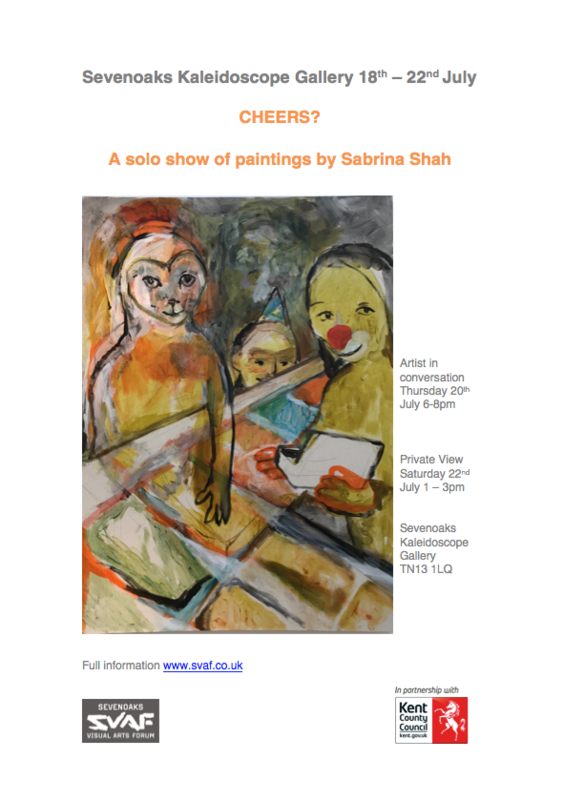 Sabrina will be discussing her paintings on July 20th 6-8pm at our SVAF meeting and everyone is welcome.